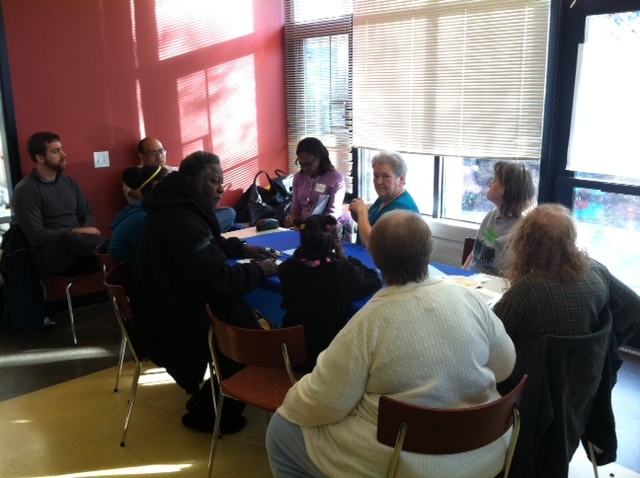 Metro extends a big thank you to our community partners in southeast Seattle! 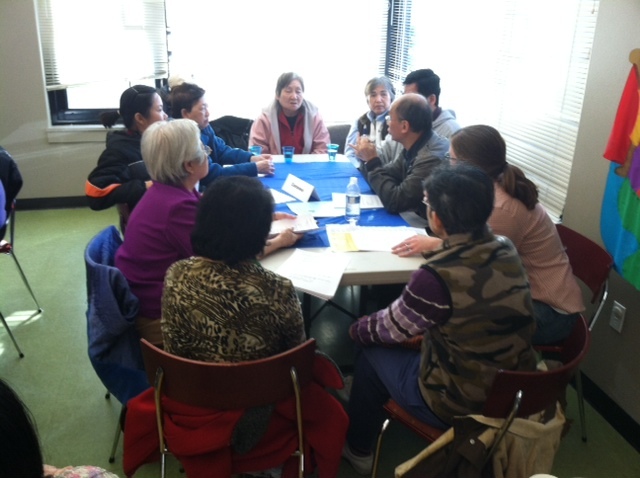 With your help we were able to host 11 community conversations where we heard from more than 350 community members, many of whom are transit-dependent and speak English as a second language or not at all. 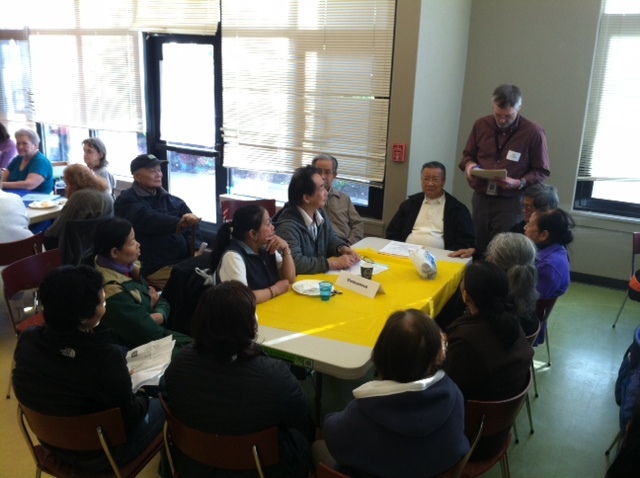 Using interpreters, we heard from people whose primary languages are Chinese (Mandarin and Cantonese), Vietnamese, Somali, Amharic, Oromo, Tigrinya, Laotian, Cambodian, Tongan, Samoan, and Tagalog. We also thank all of you who shared your stories via our online feedback form. 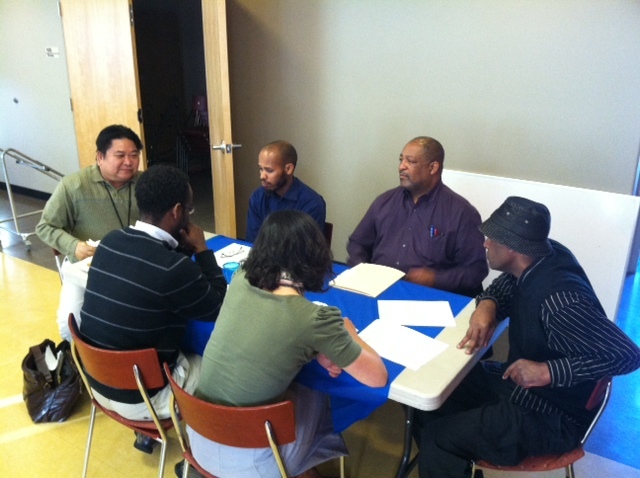 These conversations made up the initial, listening phase of our southeast Seattle outreach. Next we will work with Sound Transit and the City of Seattle to find things we can do immediately, in the short-term or the long-term to improve people’s transit experiences. In the coming weeks we’ll be posting reflections from these conversations and prompting you to help shape our next steps. Stay engaged by reading and commenting on these upcoming blog posts. Less bicycle lanes more bus lanes please. Buses get stuck behind bicyclists. And less move buses closer to the light rail stations. Walking across 6-7 lanes of traffic and waiting at crosswalks for a green light in the rain is not going to attract any riders. The elderly will stop using the system. Walking in Rainier Valley is not an option and if will cancel bus service on Sward Park Avenue south of Othello, then many elderly and youth riders on the south side of Seward Park will no longer have an option to use transit. We do not walk to Rainier in this neighborhood, we don’t even shop at Rainier Beach Safeway, it’s only for folks who have cars, otherwise it’s not safe. Re: 39 and 34 changes. I absolutely outraged that a portion of Seward Park Ave S will not have bus service at all. In this part of town people do not walk more than a block, this is a high crime area. If walk to Rainier Ave everyday, YOU WILL GET MUGGED or worst. The above poster is oblivious about the situation that we are in, which tells me she/he never even used the transit in the SE Seattle. This is not a place were people go on a stroll. Either criminals or police will attack you here if you walk, depends how you look like, especially near Rainier Ave. The new transfers to/from Columbia city light rail is a joke. You have to cross traffic 2 times by waiting at the crosswalks for up to 5 minutes. That’s not a transfer, that’s an adventure! Add rain and heavy traffic to it and you get the picture. This is a tremendous waste of time. 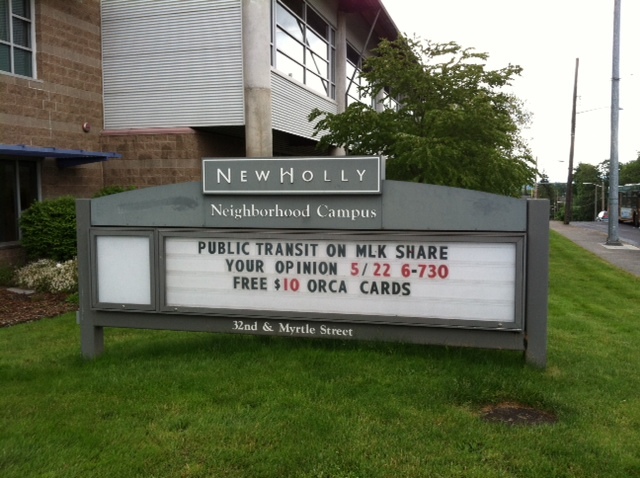 I want to see all of the KC council members to do these type of transfers on MLK every day. Once they have done it for a month, then i bet there will be a different talk at the table. There is a complete disconnect between commuters and the planners in King County. Routes that have no significance and are empty most of the time like 140 are turned into a rapid ride, streets that need faster bus service like Seward Park Ave get more bike lanes slowing down the existing service, Light rail stations look like art museums but are almost unaccessable if you are transferring to/from bus on MLK…and there are more flaws… If you have to have that new route 50, fine… but make sure it serves ALL OF SEWARD PARK AVE S, meaning extend it south from Othello to Henderson and then west on Henderson to the Rainier Beach Light Rail station. I support the change to the 39 and the 34. The 50 will be more frequent, and will make it easier to actually get to places served by the route. I would much rather actually be able to get somewhere, even if that meant transferring, than wait much longer for an infrequent bus just to get a one seat ride. Metro needs to stop undercutting the entire transit system just to satisfy a small number of people who don’t want to transfer. My feelings have not changed about the proposed change for route #39 and #34…. They are by far the safest alternative to what Metro wants. I am still terrified to take the # 7 at Rainer and the Light Rail is out. As I stated before, I am 65 and love taking the bus straight downtown on the #34 for early morning doctors appointments , or the #39 for shopping. After the purse robbery and the harassment for money, I will never take the #7 or the light rail again. (My son said he would take me, or I will take a taxi. ), If the routes were to change… I am not the only senior in the neighborhood, that is really upset. Just one more complaint. Smoking at the bus stops is atrocious, Especially at 3rd and Pine…. For the most part Seattle Metro was the finest transportation system, I knew. Please hear my concerns. P.S. # 34 and #39 in the morning is always packed, not a money losing proposition !!! My family and neighbors took the time to attend and comment at a neighborhood meeting about the #34 and #39 buses. I am appalled that Metro would not include them in the report (see bottom of page 15)! This is insulting. We are well aware of the proposal for the #50. We attended to voice our opposition to that (as we have attended other meetings and given constructive feedback). Not one of the the many suggestions made was listed and, hence, not concerned. Metro is untrustworthy.